Enjoy amazing quality movie soundtrack and music in your home with the compact and budget friendly Micca MB42X-C center channel speaker. Handsomely styled with classic contours and updated design cues, the MB42X-C is easy to place and blends into any room or decor. Its enhanced tonal balance and clarity makes it perfect for use in a home theater, anchoring important dialogue and action to the screen for a cinema-like experience. High Quality Drivers, Serious Performance The MB42X-C starts with the proven winning formula of a compact ported enclosure with balanced woven carbon fiber woofers delivering enhanced transient and impactful bass, and a high performance silk dome tweeter for smooth treble and accurate imaging. Additionally the MB42X-C has a highly optimized 12dB crossover that is the result of painstaking fine tuning, yielding a sound signature that is incredibly open, balanced, and dynamic. Along with full size 5-way speaker wire binding posts and hex fasteners, the MB42X-c has a magnetic grill system for added sophistication. Versatile and Affordable Hearing is believing. 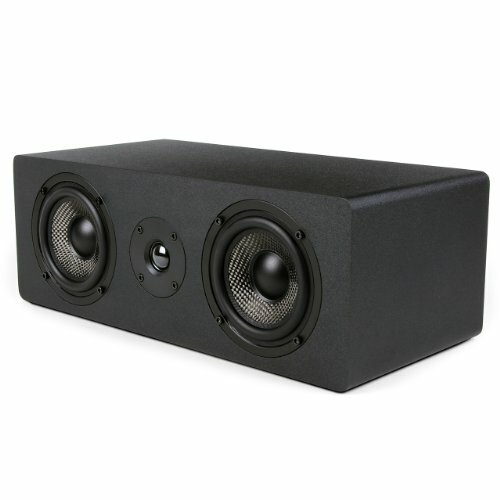 Discover how good an affordable center channel speaker can be by trying one risk free in your home. Place the MB42X-C directly above or below the TV and tilt it towards the listener for best results. They can also be used vertically in a pair as bookshelf speakers. If you are not absolutely delighted with the MB42X-C's performance, simply return it for a refund. Specifications:- Woofer: Dual 4" Carbon Fiber, Rubber Surround- Tweeter: 0.75" Silk Dome- Crossover: 12dB/Octave- Enclosure: Ported- Frequency Response: 60Hz-20kHz- Impedance: 4-8 Ohms- Sensitivity: 86dB 1W/1M- Power Handling: 100 Watts (Each)- Dimensions: 5.3" (H) x 15" (W) x 7.1" (D). If you have any questions about this product by Micca, contact us by completing and submitting the form below. If you are looking for a specif part number, please include it with your message.